This colorful anatomical chart presents the diseases of the digestive system. This chart illustrates, in anatomic detail, the anatomy and pathology of diseases of the digestive system. It also provides useful information about these diseases. Double-sided lamination that prevents curling is available. 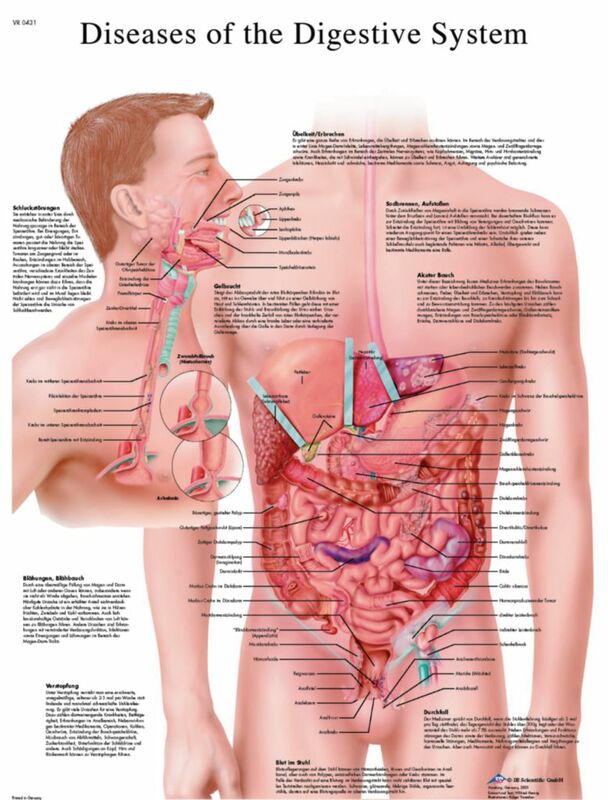 The UV-resistant Diseases of the Digestive System chart is a great addition to the classroom and doctor's office.